The Games on Demand version supports English. 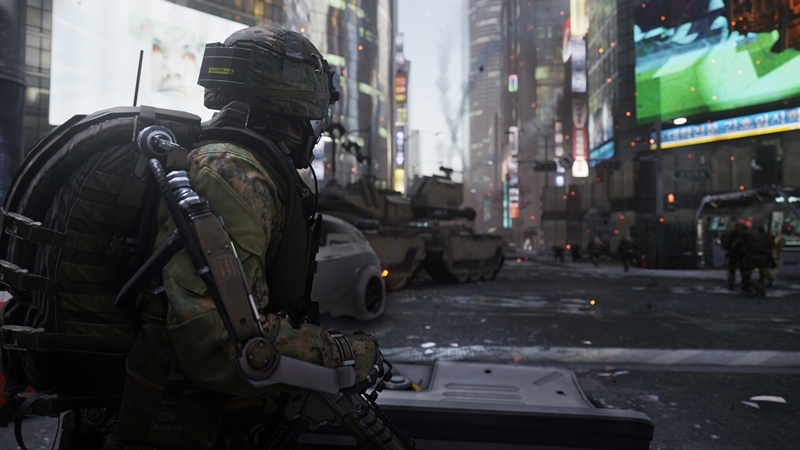 Call of Duty®: Advanced Warfare envisions the powerful battlegrounds of the future, where both technology and tactics have evolved to usher in a new era of combat. 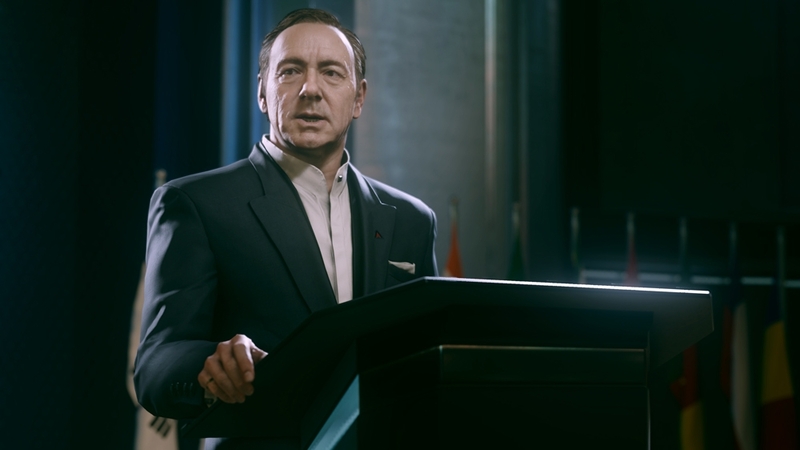 Delivering a stunning performance, Academy Award® winning actor Kevin Spacey stars as Jonathan Irons - one of the most powerful men in the world - shaping this chilling vision of the future of war. Power Changes Everything. Also included is the bonus Digital Edition Personalization Pack, including a custom weapon camo, reticle set and playercard. 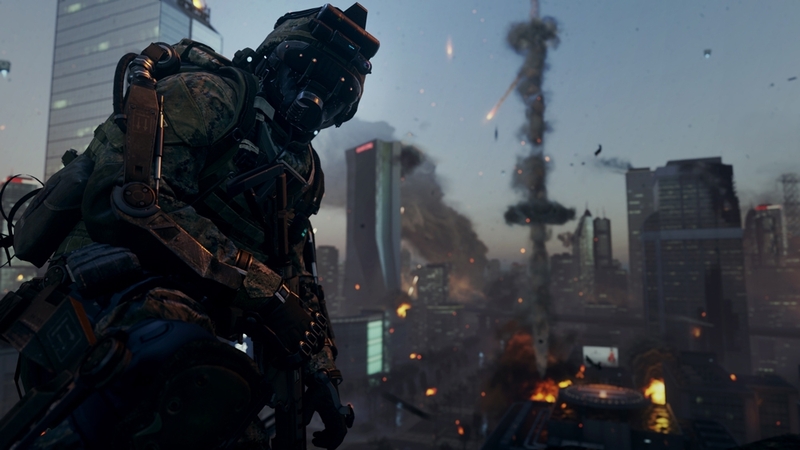 Brace yourself for Reckoning, the final downloadable content pack for Call of Duty®: Advanced Warfare: - Drone swarms, plasma lamp explosions and crumbling glaciers dial up the excitement in four new MP maps. 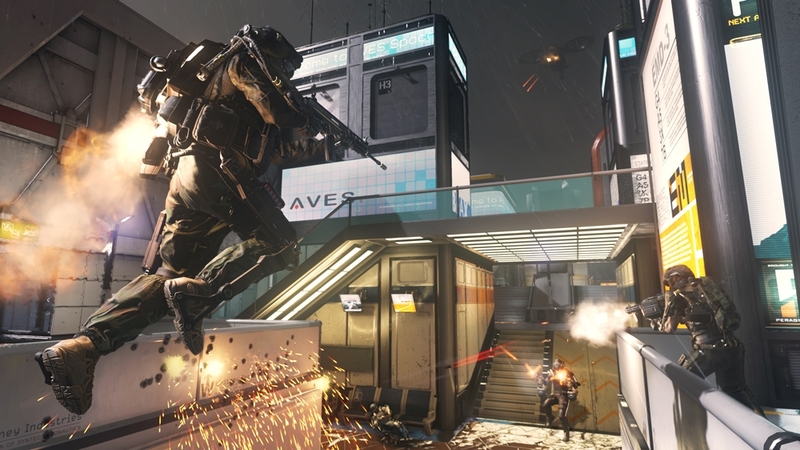 - The Exo Grapple Playlist delivers more carnage and more fast-paced MP combat than ever before. - The culmination of the Exo Zombies saga: Descent delivers an all-new map, fused zombie enemies and the Trident Reflected Energy Weapon. Discover the true cause of the global pandemic and the terrible secret that Atlas has been hiding. The Ohm Weapon Pack features the Ohm directed energy two-in-one LMG/Shotgun and its Werewolf Custom Variant. Adjust the weapon on the fly to fit your strategy. Unleash a barrage of directed energy fire from a distance in LMG mode or get up close and personal in shotgun mode and deliver a concentrated blast. PLEASE NOTE: If you previously purchased Call of Duty: Advanced Warfare Season Pass or Ascendance DLC, do not also purchase the Ohm Weapon Pack, as you already have access to this content. Hit the big time with the Jackpot Personalization Pack. Show your luck with an animated jackpot themed weapon camo, three prized reticles, a calling card, and an emblem item. It’s what’s on the inside that counts with the X-Ray Personalization Pack. Get on a higher wavelength with an animated, translucent weapon camo, three X-Ray themed reticles, a calling card, and an emblem item. Keep something up your sleeve with the Aces Personalization Pack. Raise the stakes with a card-studded weapon camo, three high suit reticles, a calling card, and an emblem item. Keep the party going all night long with the Disco Personalization Pack. Tear it up on the dance floor or in the Virtual Lobby with an animated, disco ball-themed weapon camo, three groovy reticles, a calling card, and an emblem item. Enter every match with guns blazing thanks to the Backdraft Personalization Pack. Unleash the heat with animated, liquid fuel-burning weapon camo, three fireproof reticules, a calling card, and an emblem item. Become the mythical guardian of every capture point with the Tiki Personalization Pack, complete with an animated, glowing weapon camo, three shipwrecked reticles, a calling card, and an emblem item. Drown your competitors with the Lagoon Personalization Pack, combining an animated, aquatic weapon camo, three watertight reticles, a calling card, and an emblem item. Trip out your opponents with the Psychedelic Personalization Pack, powered by an animated, shimmering weapon camo, three hallucinatory reticles, a calling card, and an emblem item. 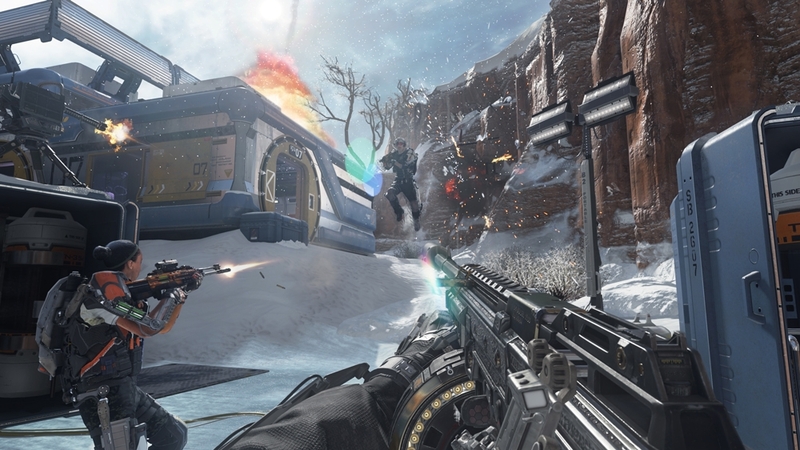 Get ready for the 2015 Call of Duty Championships with the Championship Premium Personalization Pack. 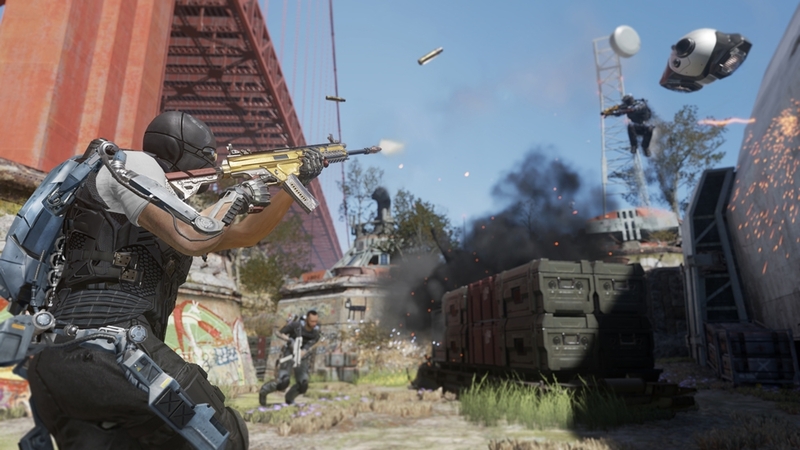 Dominate the competition with the golden weapon camo, three reticles, a calling card, and an emblem layer. Plus an extra Championship Exoskeleton and Helmet. The Extra Slots pack increases the number of customizable Create-A-Class Slots with 50 Additional Slots. Carefully tune your added Create a Class Slots and be ready for whatever the competition throws at you. 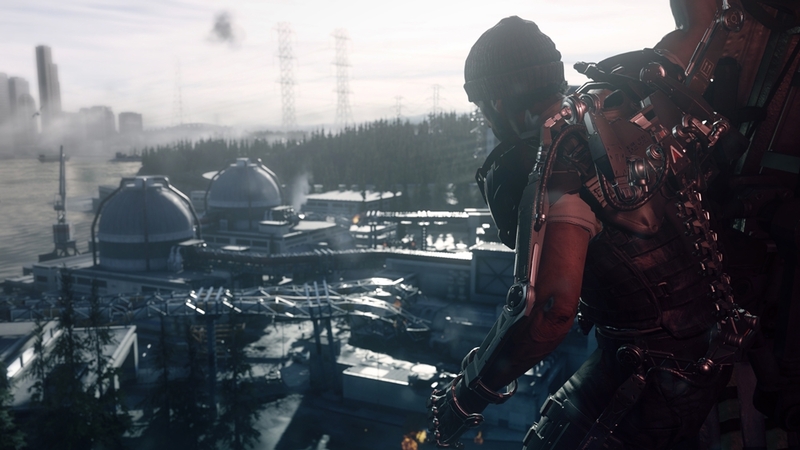 Havoc - The 1st DLC pack for Call of Duty®: Advanced Warfare Multiplayer Maps: Four all-new Multiplayer maps are tailor-made to unleash your exoskeleton’s power. Core, Urban, Sideshow and Drift take players from the Gobi Desert to the Rocky Mountains. Fight in close-quarters through a future city ward or use long-range sightlines over a creepy clown-themed motel. 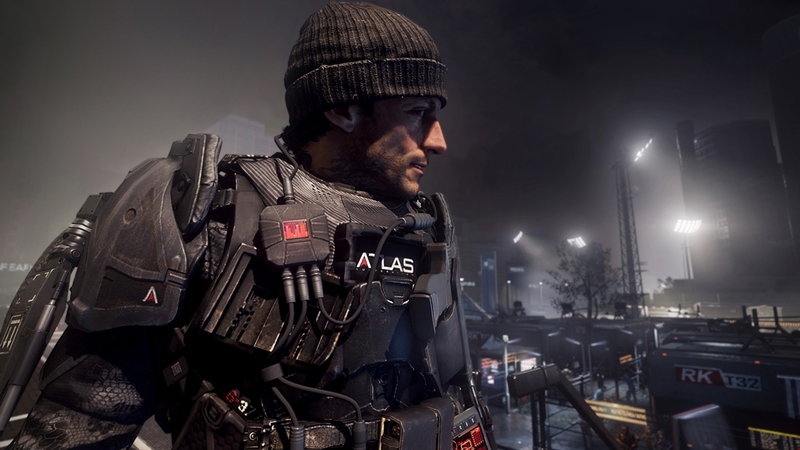 Exo Zombies: The unique Exo Zombies co-op experience is all new to Call of Duty: Advanced Warfare DLC. A DNA bioweapon spawns a ravenous mutant horde infecting a secret Atlas research facility. Now four unprepared survivors must face the most vicious mutations ever unleashed. 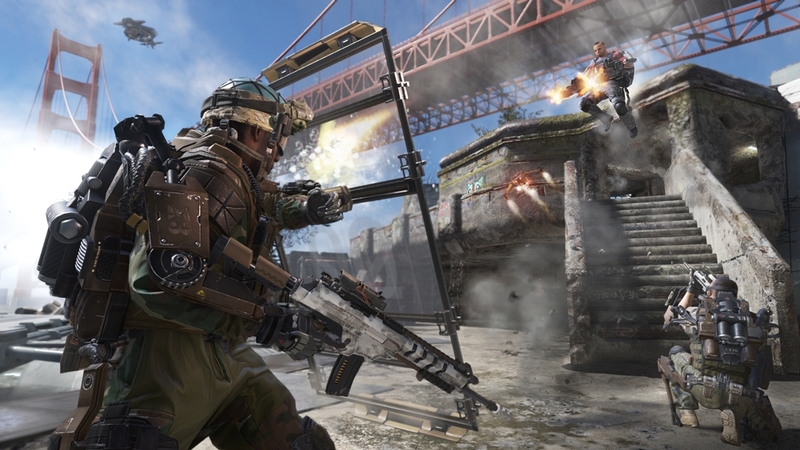 Bonus Weapons: Get access to the AE4 directed energy assault rifle and its custom weapon variant, the AE4 Widowmaker. 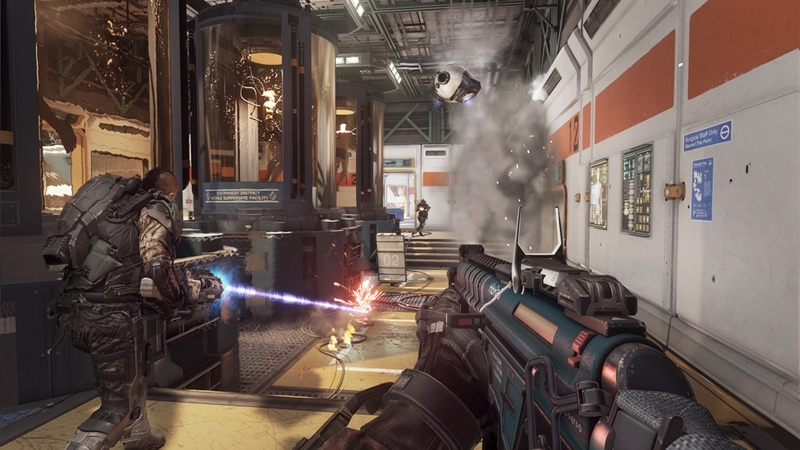 Not Actual In-Game Images If you previously purchased Call of Duty: Advanced Warfare Season Pass, do not also purchase the standalone DLC map packs, as you will be charged for them. 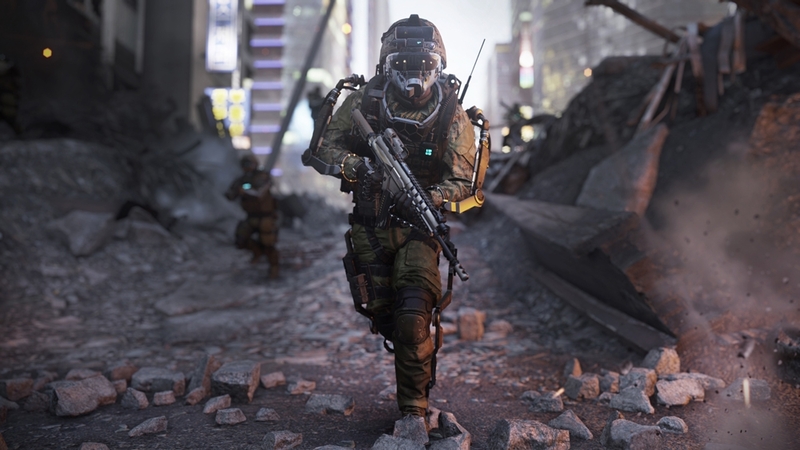 As DLC content becomes available, it can be downloaded from the Call of Duty: Advanced Warfare in-game store and should not be downloaded from Xbox LIVE Marketplace, or you will be charged twice. DLC content may not be available in all territories. Pricing and release dates may vary by platform. 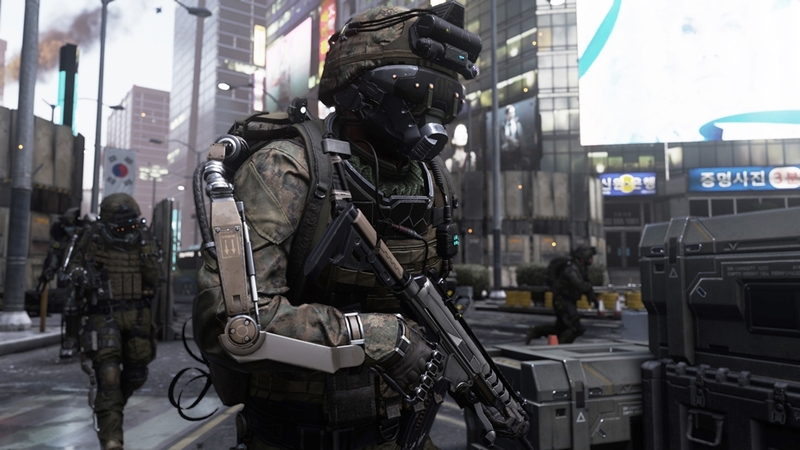 Call of Duty: Advanced Warfare game required to use this content, sold separately. 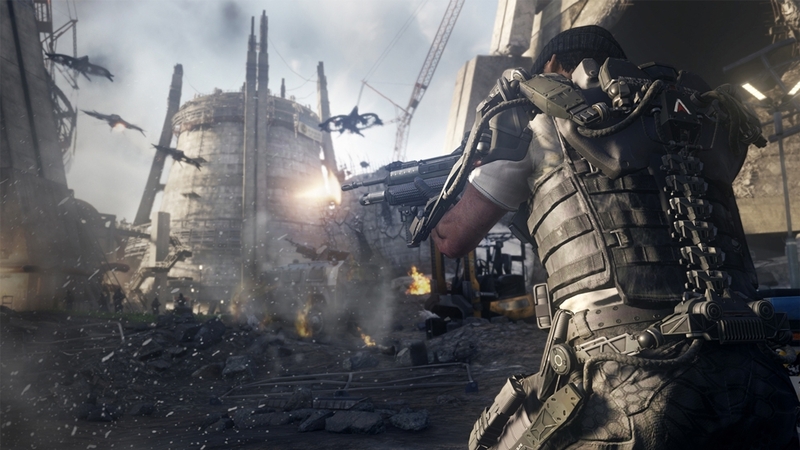 If you purchase Call of Duty: Advanced Warfare DLC content on Xbox 360, you can access the same content on Xbox One as well. 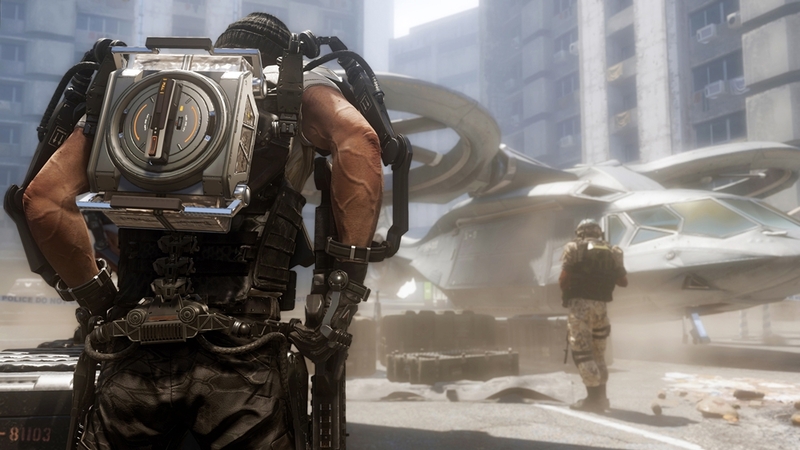 Blast through any match with the Steampunk exoskeleton Pack. Includes a pseudo-Victorian exoskeleton and a future-retro helmet. Show your patriotism with the United Kingdom exoskeleton skin and matching helmet. Your country needs you! Show your patriotism with the Japan exoskeleton skin and matching helmet. Your country needs you! Show your patriotism with the Australia exoskeleton skin and matching helmet. Your country needs you! Smaller is better with the Nanotech Personalization Pack. 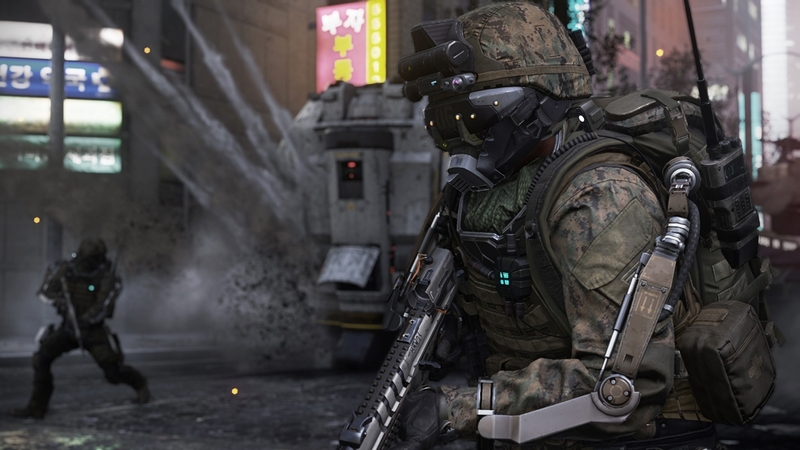 Power up with a sub-atomic suit camo, three high-tech reticles, a calling card, and an emblem layer. Show your patriotism with the American exoskeleton skin and matching helmet. Your country needs you! It’s a jungle out there. Go wild with the Panda exoskeleton Pack, complete with animalistic exoskeleton and bear-themed helmet. Show your patriotism with the Spain exoskeleton skin and matching helmet. Your country needs you! Erupt in any match with the liquid-hot Magma Personalization Pack, powered by a lava-inspired weapon camo, three fiery reticles, a calling card, and an emblem layer. Show your patriotism with the Netherlands exoskeleton skin and matching helmet. Your country needs you! Show your patriotism with the France exoskeleton skin and matching helmet. Your country needs you! Show your patriotism with the Italy exoskeleton skin and matching helmet. Your country needs you! Show your patriotism with the Canada exoskeleton skin and matching helmet. Your country needs you! Unleash your predatory rage with the Creature Personalization Pack. Hunt down the competition with a menacing reptilian skin camo, three monster reticles, a calling card, and an emblem layer. Unleash the lion within using the Barong exoskeleton Pack. Protect your throne as the king of any match in your demon-banishing exoskeleton and guardian helmet. 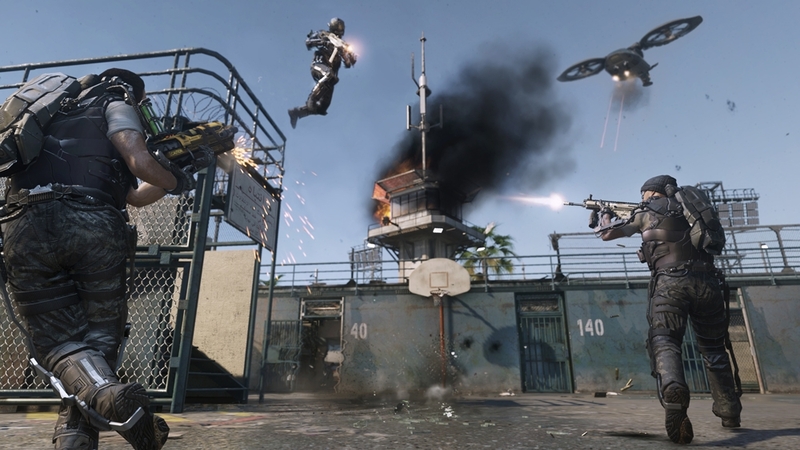 The Call of Duty®: Advanced Warfare Season Pass gives you access to four exciting DLC packs in 2015 at one great price*, each delivering a collection of new, thrilling multiplayer content, bonus weapons, and more. Get ready for a new breed of Zombies. 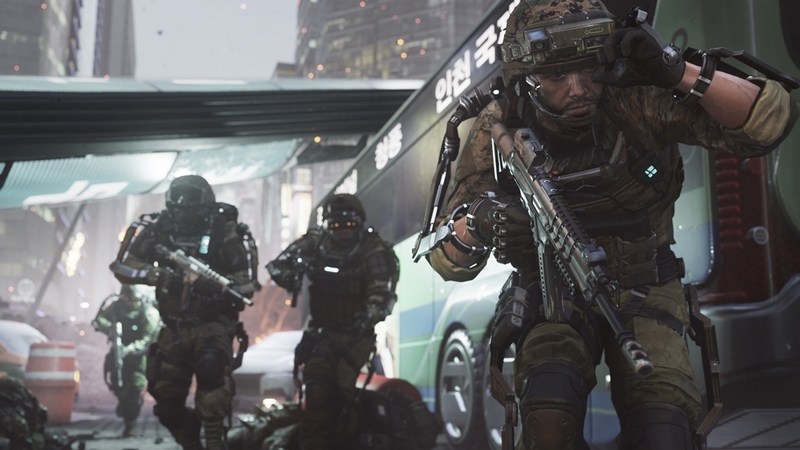 The unique Exo Zombies co-op experience is coming to Call of Duty: Advanced Warfare DLC. This new mode brings the movements, abilities, and weapons of the exoskeleton into battle against the undead. Season Pass owners get early access to the Ascendance DLC Pack bonus weapon: The OHM directed energy two-in-one LMG/Shotgun and its OHM Werewolf Custom Variant. Adjust the weapon on the fly to fit your strategy. Unleash a barrage of directed energy fire from a distance in LMG mode or get up close and personal in shotgun mode and deliver a concentrated blast of directed energy. Plus, with Season Pass you get instant access to the Atlas Gorge Multiplayer Map, a re-envisioning of the fan favorite Call of Duty® 4: Modern Warfare® map, Pipeline. Content in the Season Pass may be sold separately. If you purchase the Season Pass, do not also purchase the standalone map packs, as you will be charged for them. Season Pass and DLC content may not be available in all territories. Pricing and release dates may vary by platform. 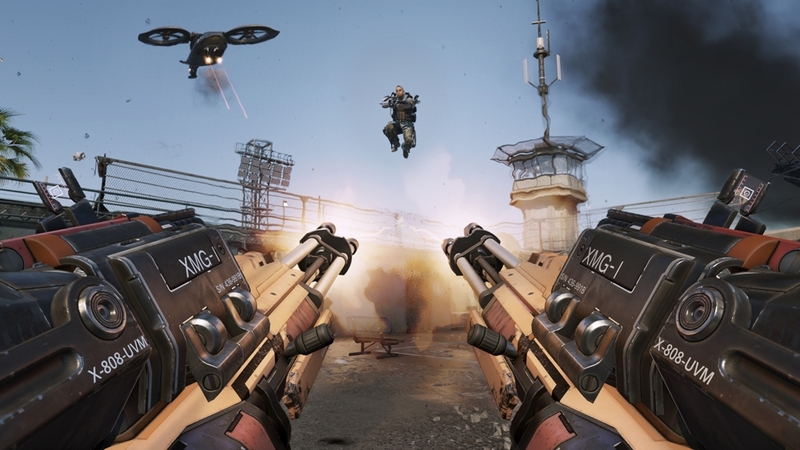 Call of Duty: Advanced Warfare game required to use this content, sold separately. 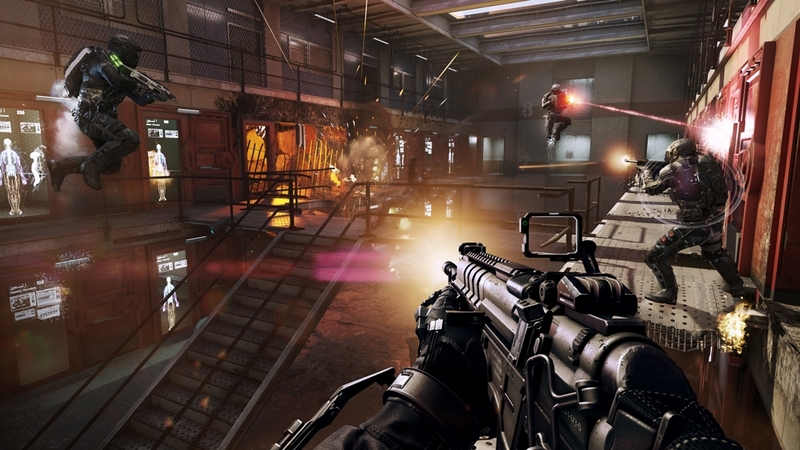 Call of Duty: Advanced Warfare game required; sold separately. Season Pass and DLC content may not be available in all territories. *Based on suggested retail prices; actual savings may vary. 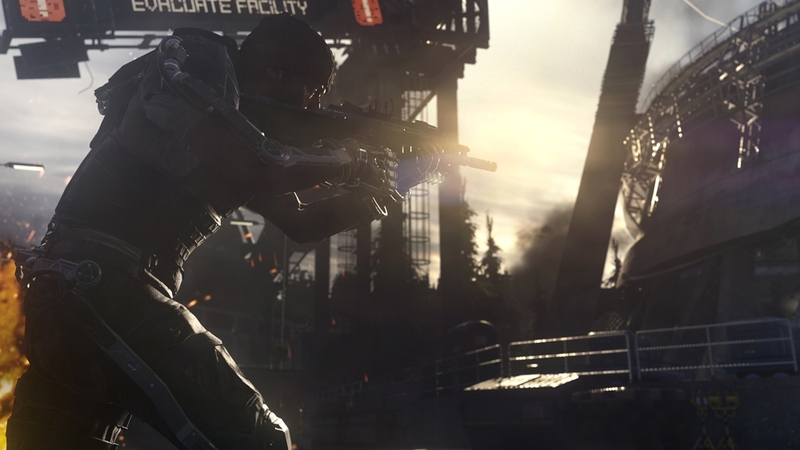 Xbox One Season Pass Guarantee is also included - so you can access all Call of Duty: Advanced Warfare Season Pass content on Xbox One as well.